Desktop Publisher Pro For Mac delivers the power-packed desktop publishing solutions that power users need to transform concepts into stunning professional quality designs. Both first-time users and experienced graphic designers will appreciate the intuitive powerful text handling capabilities of Desktop Publisher Pro. 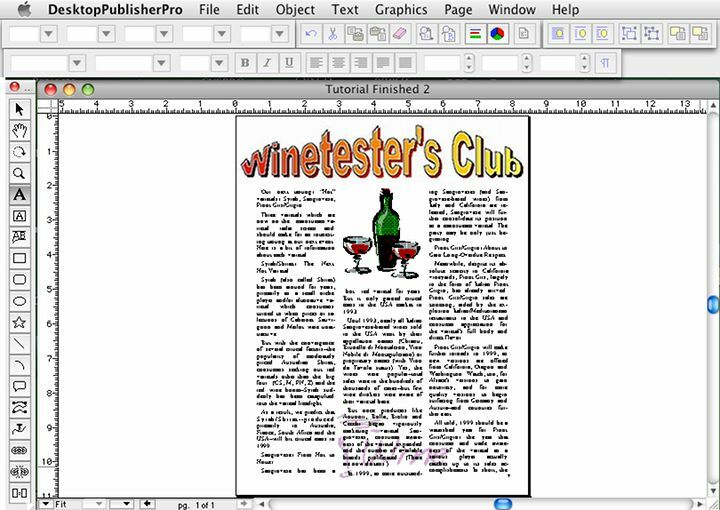 Desktop Publisher Pro For Mac is a best mac software of high quality, low cost, full featured mac desktop publishing tool . Professional mac page layout document from Desktop Publisher Pro For Mac. Qweas is providing links to Desktop Publisher Pro For Mac 2.2.8 as a courtesy, and makes no representations regarding Desktop Publisher Pro For Mac or any other applications or any information related thereto. Any questions, complaints or claims regarding this application Desktop Publisher Pro For Mac 2.2.8 must be directed to the appropriate software vendor. You may click the publisher link of Desktop Publisher Pro For Mac on the top of this page to get more details about the vendor.